Will you buy a 1st gen Apple Watch? Okay, probably not. Certainly not at launch, and very likely not until they’d come available as refurbs or on Craigslist. Well, lots of reasons. First and foremost, I don’t need it. There isn’t an Apple Watch shaped hole in my tech existence right now. I haven’t regularly worn a watch in more than 10 years, my iPhone 5S does a great job of tracking how many steps I take per day (pretty much my sole fitness activity, but that’s for another article), and if anything I want to see less notifications throughout the day. This article by Matthew Panzarino predicts a very interesting new reality, where users find themselves bathed in the flow of their smartphones much less often while wearing the Apple Watch. This is highly compelling to me, and though I can see such a world through rose colored tech glasses, I fear that Rian van der Merwe might be more correct – the degree to which our attention will be stolen is not directly related to the size of the screen catching our eye. 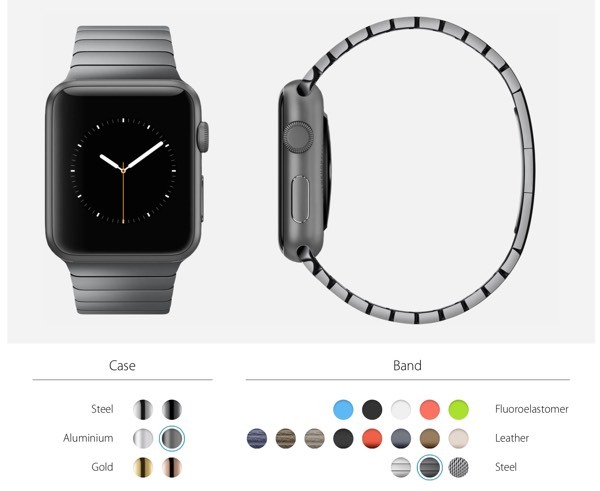 Come on, does nothing about the Apple Watch make you want it? On the contrary, just about everything about it makes me want it. The hardware design is beautiful (though maybe a little chunky for my liking – I can’t wait to see what v3 looks like), the touch UI looks thoughtful and splendidly designed, and the fitness tracking and reminder capabilities are the one aspect that seem to be beneficial to all users. Seeing a tweet notification come in immediately isn’t a world changer, but receiving reminders to get up out if your chair in the hopes of reducing heart disease? That’s compelling. Okay, say you win the lottery between now and April. You know you’d buy one, so which one would you get?